Avoid These Common Mistakes When Getting Your Bathroom Done! 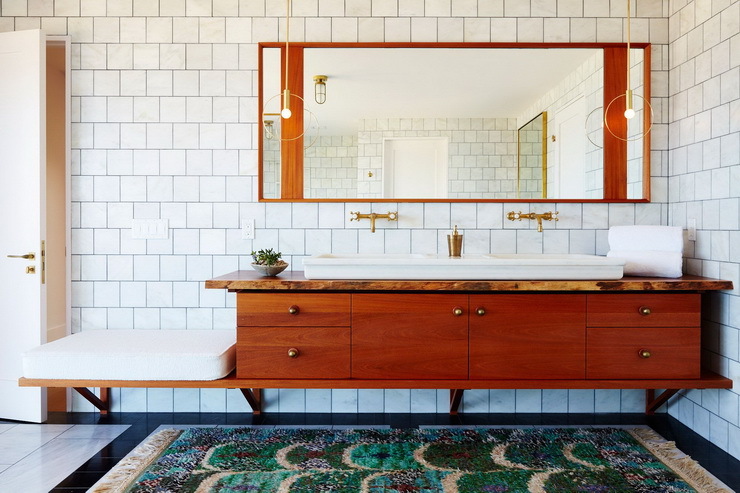 The key to a great bathroom lies in proper planning and design. 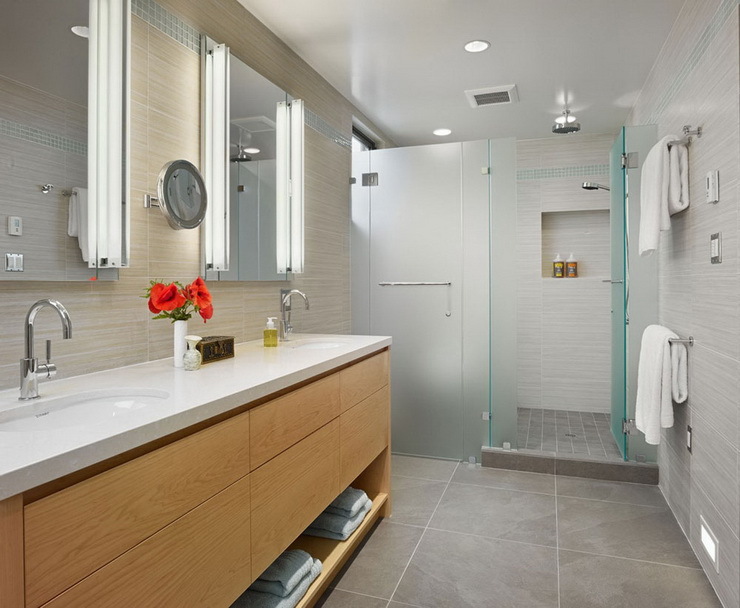 Whether you are remodeling or building from scratch, various aspects have to be taken into account to ensure that the bathroom functions well. In addition to functionality, the layout also plays an important role. Read on to know the mistakes you should avoid to ensure a good-looking, and functionally sound bathroom! Mistakes To Avoid While Doing Up Your Bathroom! Adequate overhead lighting alone will not suffice in servicing you. 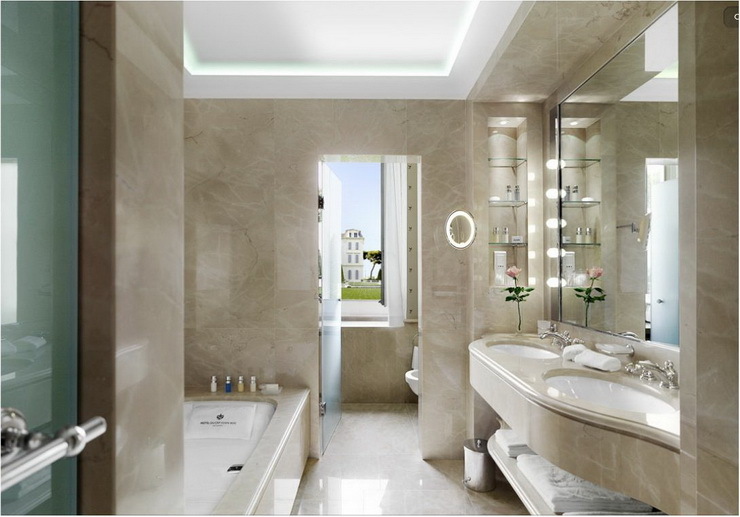 Layered lighting will help in achieving a truly functional bathroom and help in easing the daily grooming routines. Consider task lighting to ensure you don’t screw up your makeup! For instance, adequate lighting above the mirror with a wall sconce can amplify the grooming experience as it doesn’t cast shadows on the face. Dark corners can be illuminated using recessed lighting. For people who love to have a lavish bath in the bathtub often, consider adding mood lighting fittings that can be dimmed to enhance the bathing experience. With LED technology there are myriad options available, like mirror integrated LED lighting for perfect grooming, recessed LED downlights, extra task lighting, etc. Chandeliers can also be considered for that vintage look. Another common mistake people often commit is giving importance to style and ignoring the substance of storage. It is essential to keep in mind the future requirements and design proper storage. Perceive the daily routine tasks and identify areas where you waste time searching for things and plan storage accordingly. Butterfly hooks behind doors, corner racks in shower areas will be much appreciated. As a bathroom faces various atmospheric conditions viz cold, steamy and hot in a short time, ensure that you use the products, especially wood and textiles, that are designed explicitly for the bathroom. Wooden cabinets have to be chosen with care so that they will retain their sheen. When shopping for materials look out for those that are robust and water resistant. While all of us love grandeur, and dream of a lavish bathroom, the functionality aspect often gets compromised for grandness. This is a major mistake committed by many as first and foremost the bathroom should be comfortable and have a proper layout. There is no use of having a grand bathroom but with essentials fitted in a haphazard manner making you bump against things. For instance, the towel rod should be placed near the shower to enable one to reach for towels after a shower. There should be a minimum of arm's length space in positioning fittings like the toilet, the washbowl, and the shower area. It looks awkward to bump into the sink after you come from the shower. Hence proper weight must be given to the functionality aspect regarding safety, comfort, and ease of access before going in for splendour. Another critical aspect often overlooked is water conservation. Saving water during activities like flushing, showering, etc. will save a lot of water and money too. Plus you get to be environmentally conscious. Hence, opt for auto shutoff faucets and showers with water saving labels. Also, go in for a grey water system for those areas that do not require fresh water for the flushes. Do not forget to check leaky taps. The bathtub is one area that is quite prone to mistakes. While fitting a bathtub, one should not only take into account the dimensions but also check whether the drain hole aligns with the existing drain system on the floor. As bathtubs can have drain holes in the center or right/left, one must keep this in mind while fixing a bathtub. When entering a bathroom, the toilet should not be the first item that your eye meets. Try a partition small half partition wall between the toilet and remaining areas of if space permits or in case of small areas design in such a way that it does not occupy the center stage. Further, the bathroom interiors should be hidden from sight of other viewing areas of the household. Installation of an attractive partition door would do the job efficiently. The door of the bathroom should not hit any object while swinging open. Hence the mathematics of space required for the door to swing open should be considered before planning the layout of other objects. Consider pocket door or sliding door options. Quite often most bathrooms are poorly ventilated, and this concept is overlooked due to the importance of style over functionality. As the bathroom tends to be the most humid area, chances of mold formation are more if there is no proper ventilation. Hence invest in proper ventilation like an exhaust fan. Windows are welcome if there is space. In case there are no windows, investing in an exhaust fan with a timer option that runs once you have left the bathroom will be a great idea. Check the water system before buying showers and taps. All of us love to have a power shower with a jet massager. However one must check if the water system in the household has the pressure to handle such luxury bath. A word of advice from the plumber would be of great aid before buying things. If not invest in upgrading the water system before you embark on shopping for that beautiful shower kit. Choose wallpapers that can withstand humidity and heat. Waterproof wallpapers are a good option. In case you choose to go for regular wallpapers then you may require a proper exhaust fan to prevent them from peeling due to humidity and excess moisture. Also if the wallpaper is in direct contact with areas where water splashes consider placing them behind glass. As far as paints are concerned go in for ones that can resist mold formation. Another pitfall area is the tile. Do not swap or use wall tiles and floor tiles. Opt for anti skid floor tiles especially in the shower area. Go for simple, minimalistic line tiles, as they would accumulate less dirt and make the cleaning process easy. Spend time to choose the right color, material, and size of the tile in accordance with the layout. For instance, if the bathroom is small, a large tile will give a spacious effect. A smaller tile would perform great on curved tubs or shower benches and also on arched ceilings. The mineral content of water also has an impact on the tiles, hence choose wisely. 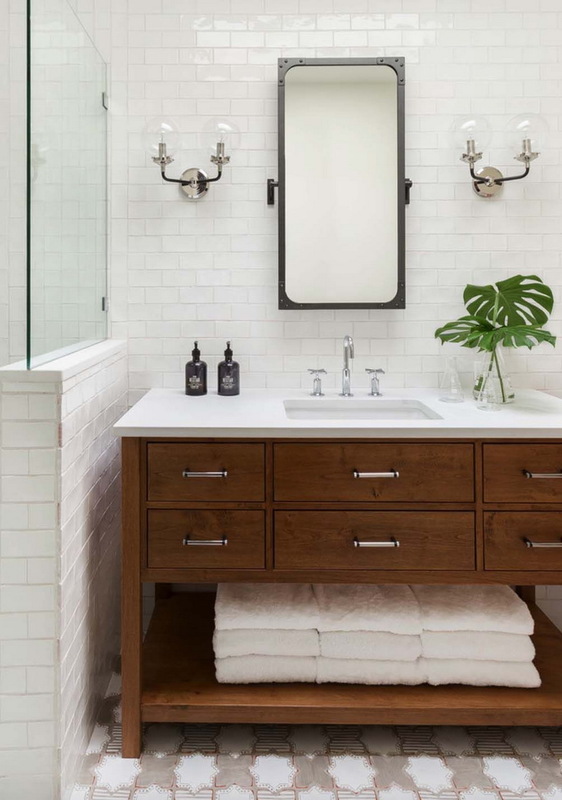 Minor items that lend the finishing touches can either make or break the bathroom design. These small items are often overlooked. For instance, it is always good to have a bathroom freshener. A magnifying mirror with proper lighting attached will make the grooming process easier. The above factors are easier said than done. However, taking into account these common pitfalls before designing your bathroom will ensure that you wash away all your troubles with beautiful bubbles! Newer PostHere's Why Experimenting With Moroccan Tiles Can Be GREAT For Your Home? Older Post4 Ways To Get A 'Curvelicious' Home!